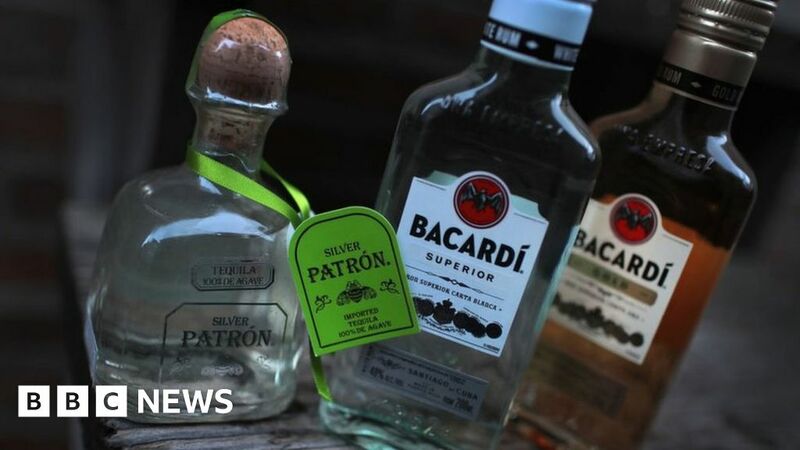 Alcohol giant Bacardi has said it will buy tequila maker Patron, as demand grows for high-end versions of the spirit around the world. Bacardi says the deal values Patron at about $5.1bn (£3.6bn). Best known for its rum, Bacardi took a minority stake in the tequila firm a decade ago and the two companies have worked closely together since then. Bacardi already owns the Cazadores and Corzo tequila brands and is the world’s biggest privately-owned spirits firm. According to recent data by research firm IWSR, the Patron deal makes Bacardi the top spirits maker in the so-called super-premium segment of the US market and the second largest spirits company in the market by value. A recent market report by the UK’s Wine and Spirit Trade Association (WSTA) found annual tequila sales in the UK grew 5% in 2016 to $18.1m. Much like the recent boom in gin brands and gin cocktails, the WSTA said tequila was now being consumed in a completely different way. It said the trend had moved away from drinking tequila as a shot to “high quality, cocktail combinations and sophisticated sipping products”. Last year, George Clooney’s tequila company Casamigos was sold to drinks giant Diageo in a deal worth $1bn. Bacardi was founded in Cuba in 1862 with a focus on rum making. Today it holds brands including Grey Goose vodka, Dewar’s whisky and Bombay Sapphire gin.